Apple has updated the Mac App Store today to include a new section featuring applications that have been ‘enhanced’ for OS X Lion, reports Cnet. These feature many apps that are Lion compatible, as well as many that take advantage of Lion features like gesture control. The section features 48 apps that have been made Lion ready and consists of a mixture of games like Zenbound and productivity apps like Fantastical. Apple’s iWork apps take center stage right at the top of the charts, and can be arranged by featured, name or release date. The section features largely paid apps, although this isn’t surprising as free apps are much less common on the Mac App Store than they are on the App Store. 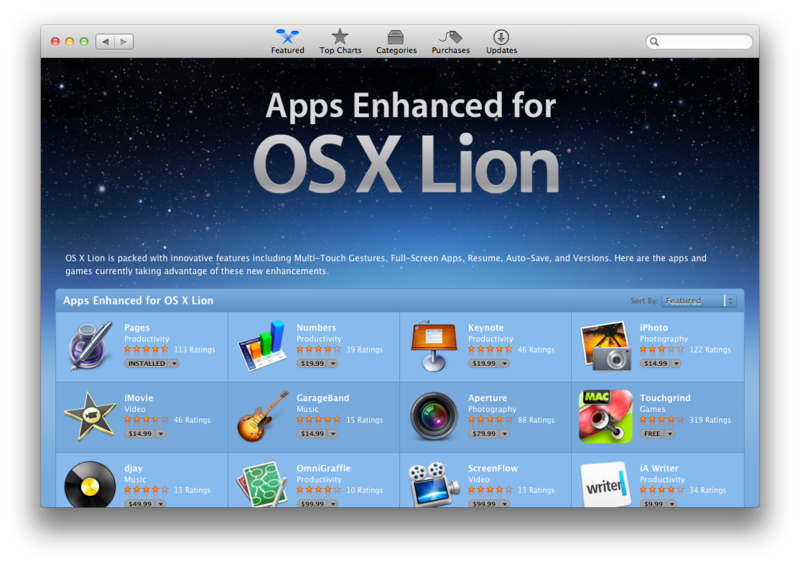 You can check out the new Enhanced for OS X Lion section here.